SS DH. . HD Wallpaper and background images in the severus snape club tagged: deathly hallows severus snape severus snape alan rickman potions master. So dark... his gaze is murderous towards Voldemort. Alan is great, he can express so much in one single gaze. When I saw that yesterday ... WOW!!!! Squeeeeeeeeee!!!!! Yummmy!!!! 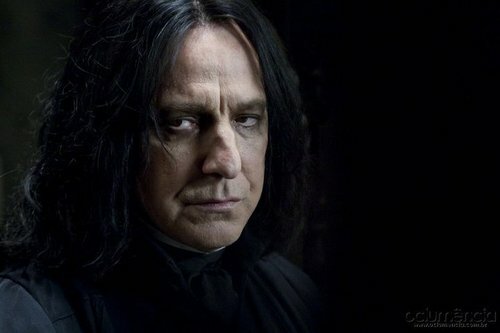 Soo, Ladies.. does our Severus look pissed or... what in this pic? i effing luv this guy!!!! I see a whole world of every negative emotions and pissed is the least on the list. Detachment, hate, anger, frustration (he can't safely do anything) and memories from the past. I absolutely agree with everyone's comments.I love this guy too!